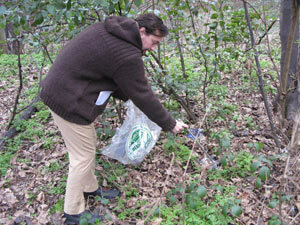 Four members of the Friends group collected rubbish in the wood at the weekend. There was a surprising amount of an old Austin car buried about the place. The friend’s volunteers filled ten large bags with general rubbish and recycling.